We are happy to have put together a short and simple asset protection exam that you can take can take to determine if your assets are protected from creditors. Instructions: If you do not understand one of the questions or do not know what a question is referring to, please put NO for your answer. Why? Because these tests are supposed to determine affirmatively if you need help with one or more of your plans OR if you need to have your plans reviewed. This test assumes that you have real estate besides your home as well as a brokerage account and other valuable assets. If you do not have the other assets discussed in the questions, please answer the question as if you did own them and determine honestly how you would own such assets if you had them. Also, this test is not just about “core” asset protection from typical creditors, it covers “global” asset protection. This test is designed to help you determine if you have an adequate asset protection plan. Since 99% of the American public does not, be prepared to flunk this test with flying colors. For this exam, if you do not get a 70% or higher you should have your asset protection plan reviewed by an APS™ “rated” advisor. If you get a 50% or less, you should run to an APS™ “rated” advisor to have your asset protection plan reviewed. 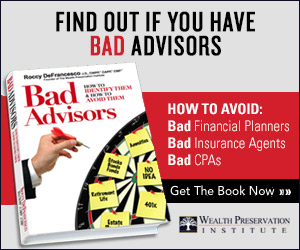 If you get a 30% or less, you should immediately fire your current consultants and hire an APS rated advisor to implement a proper asset protection plan. The username for the exam is asset and password is protect. If you would like to take three other examinations to determine if you need help with your estate plan, income tax reduction plan, financial plan or please click here.